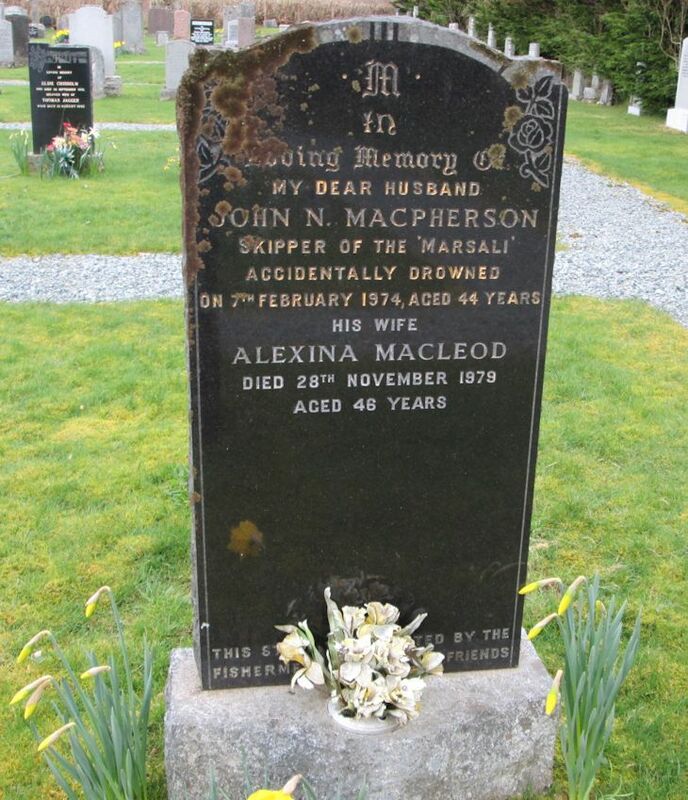 Skye Gravestones | John & Alexina (Macleod) Macpherson. John & Alexina (Macleod) Macpherson. In/loving memory of/my dear husband/JOHN N. MACPHERSON/skipper of the 'Marsali'/accidentally drowned/on 7th February 1974, aged 44 years/his wife/ALEXINA MACLEOD/died 28th November 1979, aged 46 years. This stone was donated by the/fishermen and all his friends.